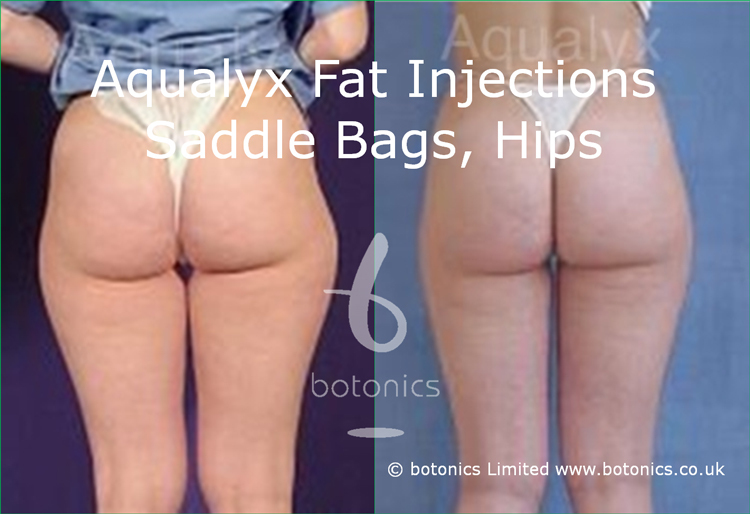 Aqualyx is suitable for dissolving small, localised pockets of stubborn subcutaneous fat on most areas of the body. Popular areas include neck/jawline, abdomen, love handles, saddle bags (hips/outer thighs), inner thighs, parts of the buttocks and the knees. 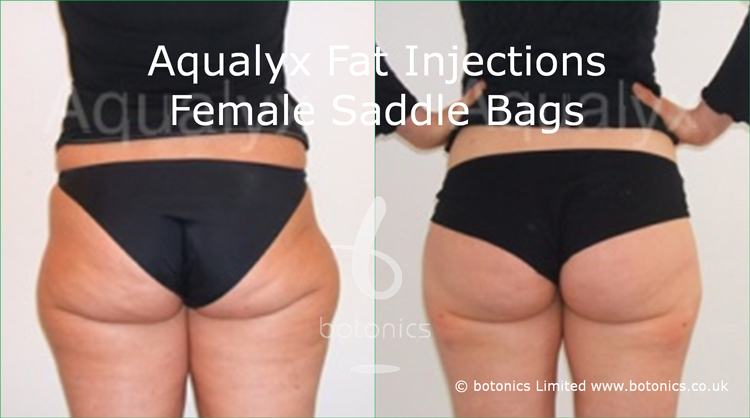 Check back often as we add to our before and after gallery of real life results from Aqualyx fat dissolving injections. Comments: Male client unhappy with stubborn fat on flanks. Comments: Client didn't want surgery but wanted a more shapely bottom. Achieve using Aqualyx treatment. Comments: Client complained trousers didn't fit because of pockets of fat on her outer thighs. Simply resolved with a few treatments of Aqualyx. 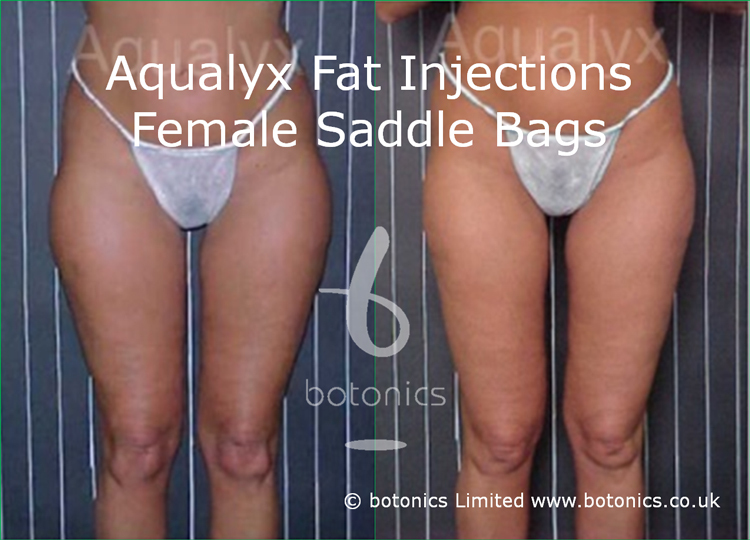 Comments: Client disliked her saddle bags. When corrected, her existing round and shapely bottom emerged. Comments: Client wanted to maintain full bottom but have more rounded and attractive shape.